gModeller 2.2.6 is now released, with new features. 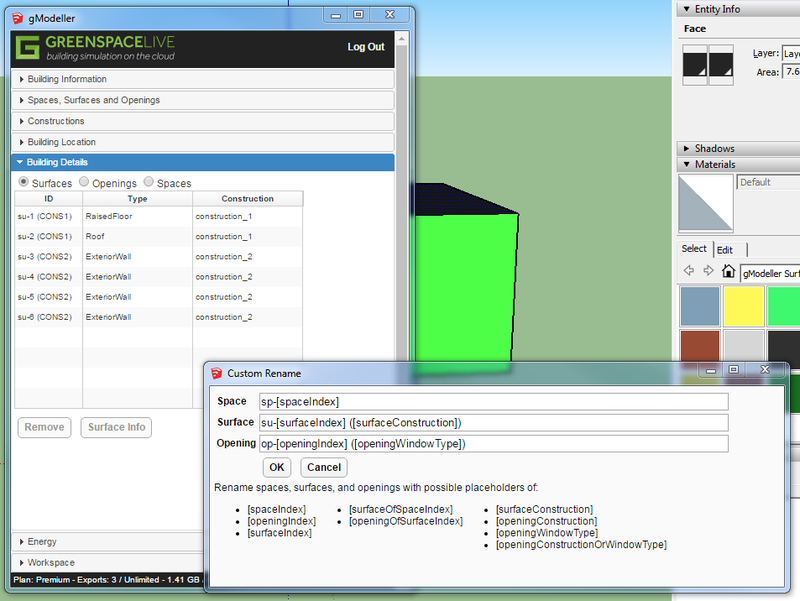 We’ve added some construction and window type placeholders to the custom rename dialog. 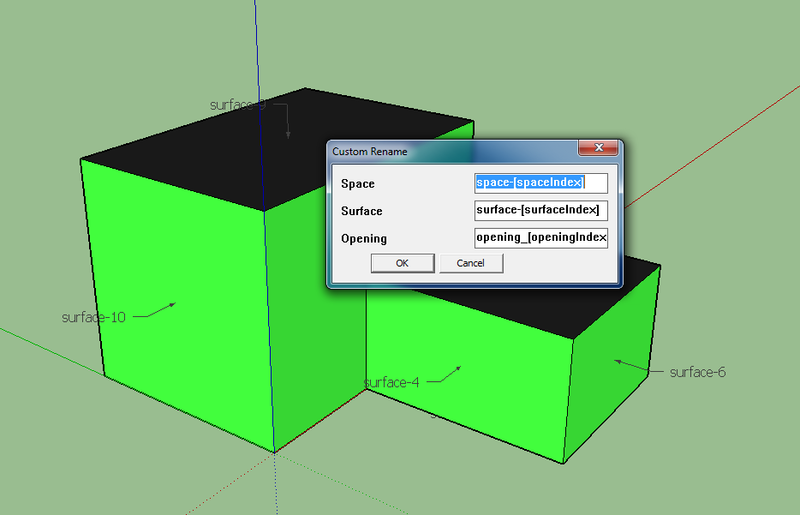 This is accessible from the extensions menu and allows renaming of spaces, surfaces, and openings to match a custom pattern. Enter the names for each space, surface, and opening. Then any placeholders will be replaced with each value for that item. This allows the identifiers to match different conventions and gives some organization to them, helping to improve your workflow. 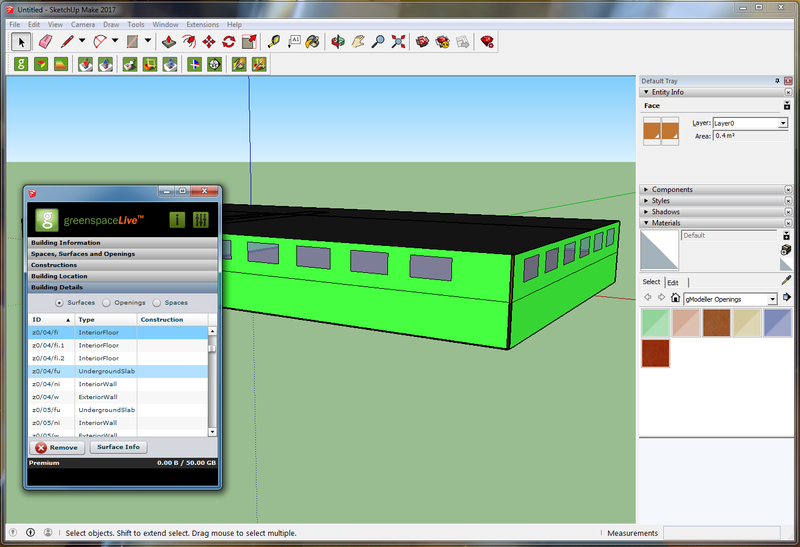 We have now enabled the latest version of gModeller V2.2.4 to import IFC models with geometrical data via Sketchup Pro. IFC (Industry Foundation Classes) is about sharing information across software applications and interoperability is a key enabler. 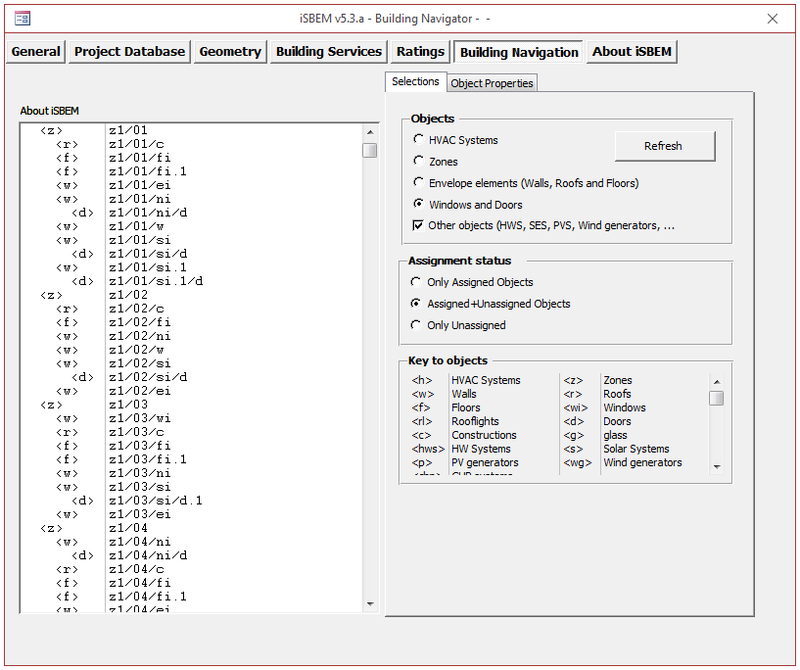 IFC is a data model that is used to describe building data and geometry across building disciplines and across phases of the building life cycle. IFC is both a de-facto standard and an ISO standard. The format is open and has wide industry support. It is a common requirement for BIM interoperability and most of the tools in use in your design and construction projects already support exporting/ importing the format. 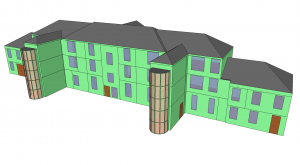 The integrated BIM approach also enables the ability to access numerous global software tools. 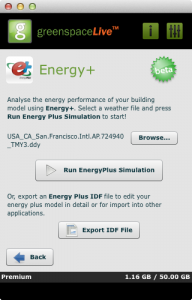 gModeller gives the ability to produce an idf file format for full dynamic simulation with gEnergy analysis. 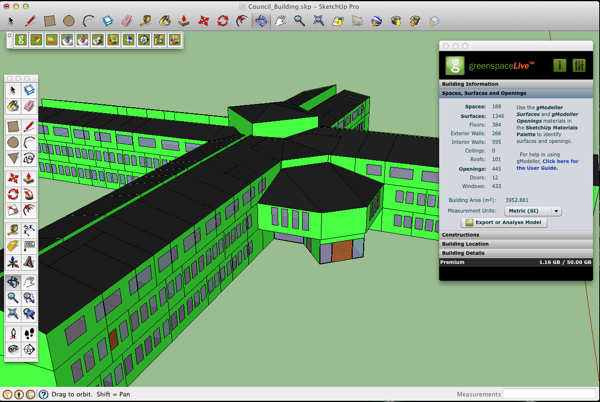 Other file formats such as nct for SBEM certification is also available from gModeller. 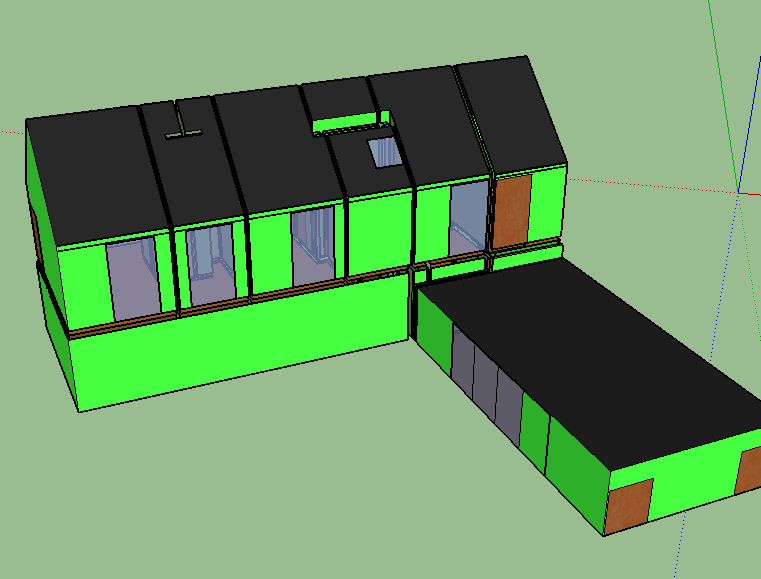 Our customers asked to go directly from gModeller Sketchup to SBEM – now you can! 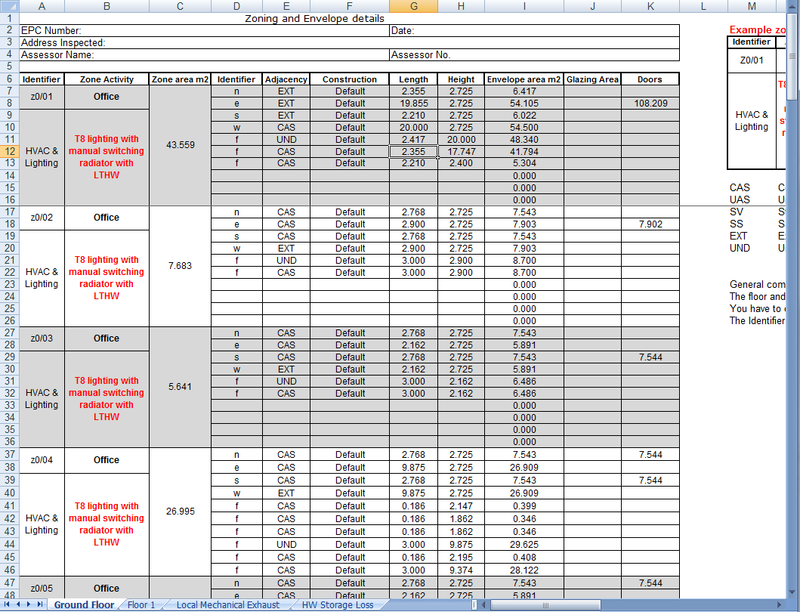 With the approval bodies requiring tabulated geometric data you can now do that action automatically from your model! 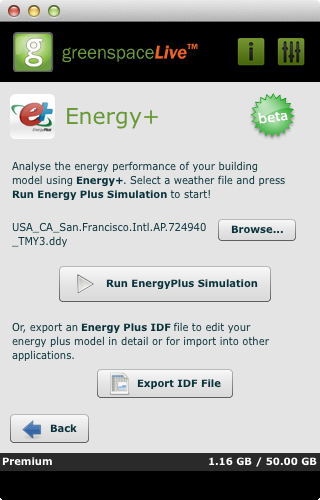 So generate your EPC building model from gModeller. 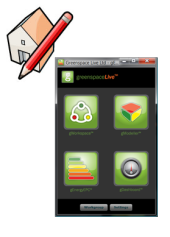 From 5th to 7th September 2012 the Greenspace Live team will join the best SketchUp Plugin Developers and users worldwide in a unique event in Madrid, Spain for the First SketchUp Plugin World Conference. We will be presenting our gTools software suite on the 6th at 10:30am and we look forward to networking with the SketchUp community!